A fiery Governor Paul LePage held a press conference this morning to blast lawmakers over the course of the past 5 years for the current drug epidemic within the state, as his administration attempts to sway public opinion to support his FY 2016-17 biennial budget. In the biennial budget now being considered by legislators, Governor Paul R. LePage has included funding for four new District Court Judges within the Judicial Branch, seven Investigative Agents in the Department of Public Safety and four Assistant Attorney General positions within the Office of the Attorney General. The budget initiative provides Maine with additional resources to combat the State’s growing drug problem. Combined with treatment and recovery, funding for these critical positions is also needed to stem the increased threat to public safety and to the health of Mainers. The following data was handed out by Maine Public Safety Commissioner John Morris to media. That this all didn’t happen/ portions of it happened. There was no five page memo/ well, maybe there was/ well, okay, there WAS a five page memo regarding the legality of arresting and executing members of Democratic leadership. He was going to sue both the BDN and Mike Tipping for the story. A bit of quick b ackground on this post. While Mainers knew that Tea Party Maine Governor Paul LePage, who won election in 2010 with 38% of the vote, was virulently anti-ACA and fought hard against multiple attempts to expand Medicaid in our state (to date, five bills have been vetoed and then sustained by the GOP in the Legislature), many did not know to what extent the LePage Administration worked or what steps lead to where we found ourselves last week as news of the #LePlagiarism scandal first broke. Thus it became necessary to piece together all of the to the administration (LePage in 2011 first offered him the DHHS posit various known elements and create this timeline, illustrating who Gary Alexander is and how he became knownion that eventually went to Mary Mayhew), as well as the various actions taken by the Governor and his staff. 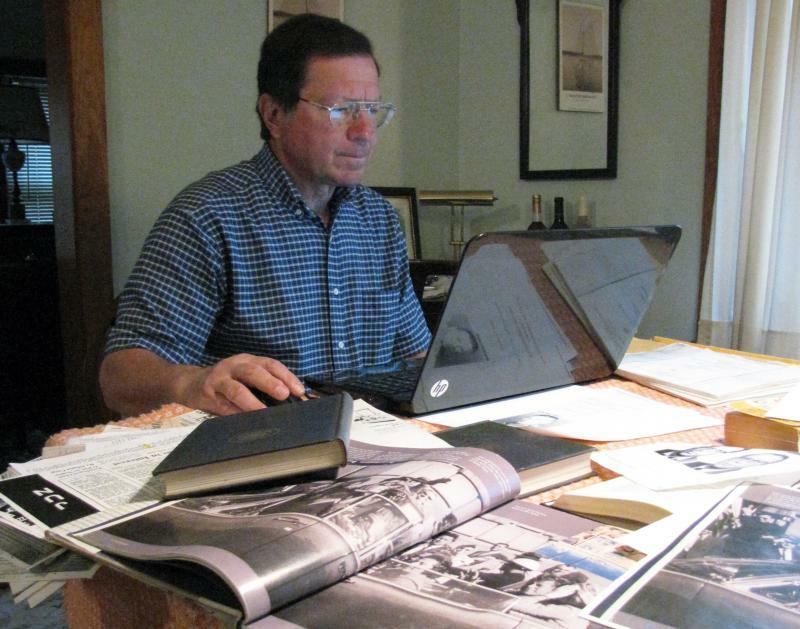 A year ago, most in Maine had no idea never heard of Gary Alexander. That is no longer the case, as now federal authorities are now looking into the matter. Oh my- looks like Paul LePage’s buddies have “GONE ROGUE”. Check it out all you lobbying kiddos; you have ALL. BEEN SERVED. 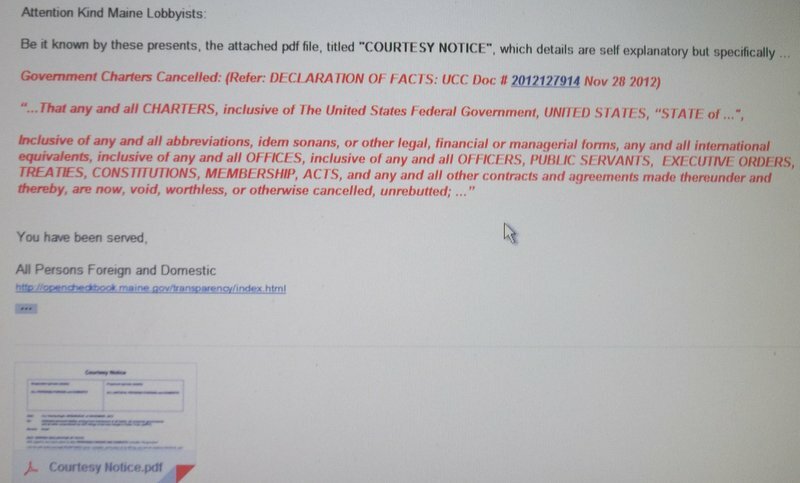 First the blast email (thankfully their CAPLOCK ISSUE APPEARS TO HAVE BEEN SOMEWHAT FIXED) that Aroostook Watchmen radio host Jack McCarthy [or whomever posted, using the name “Jack McCarthy”] mailed out, late this afternoon- to every single registered Maine lobbyist. Protip: Someone wanna tell Ole Jack [or whomever posted, using the name “Jack McCarthy”] what a “bcc” is? Thanks awfully! A review of last night’s two phone calls by Maine Republican Governor Paul LePage to the managing editor of the Bangor Daily News (“LePage denies he discussed ‘executing’ Maine Democratic leaders”). Occ asionally it is always nice to read some of the smaller and more locally focused publications around the state, such as the Auburn based Twin City Times, to see what folks are supposedly saying. “Twin City Times” just happens to be edited and published by Maine Governor Paul LePage’s communications director Peter Steele. Make note of that fact, because it’s kinda important. One can get a real feel for the sentiments locally of what is happening in Augusta by checking these papers out, especially if that region’s elected officials take to their keyboards and submit opinion pieces of note for their constituents’ consideration. But when the governor’s own head press guy is editing, then publishing the articles himself, there is the nagging feeling that possibly Paul LePage said it himself. This rings especially true in light of recent revelations that according to Mike Tipping’s “As Maine Went”, LePage in January 2010 created the pseudonym “ForThePeople” as to be able to post anonymously and write a series of posts to sway voters and help himself in that year’s Republican primary. So there is a very VERY strong perception here that “Lewiston Mayor Bob Macdonald” is in reality a really badly hidden sockpuppet version of Maine Governor Paul LePage. While it makes sense, it is also a rather strange twist, considering in the past it was LePage who was reported to be the “puppet”. “Our Administration is focusing on the fact that Maine is subject to ever-increasing numbers of out-of-state drug trafficking organizations establishing drug markets in the state. This disturbing trend tears at the very fabric of our communities and puts our children at risk. As I have said in the past, we must be proactive in combating drug dealers and target our limited resources to better protect our communities. So with that in mind, it was quite startling to learn that LePage intended to skip a private meeting of all New England governors held at Waltham MA’s Brandeis University today with the goal of regionally addressing opiate abuse, sharing information and developing strategies. Legislative Democrats and their allies were quick to condemn the LePage administration, with Senate Majority Leader Troy Jackson of Allagash, a longtime LePage rival and Democratic candidate for Maine’s 2nd Congressional District seat, calling for his impeachment. Sen. John Patrick, D-Rumford, who chairs the Legislature’s Labor Committee, said the Department of Labor’s findings came as little surprise. Jackson was less guarded in his response. 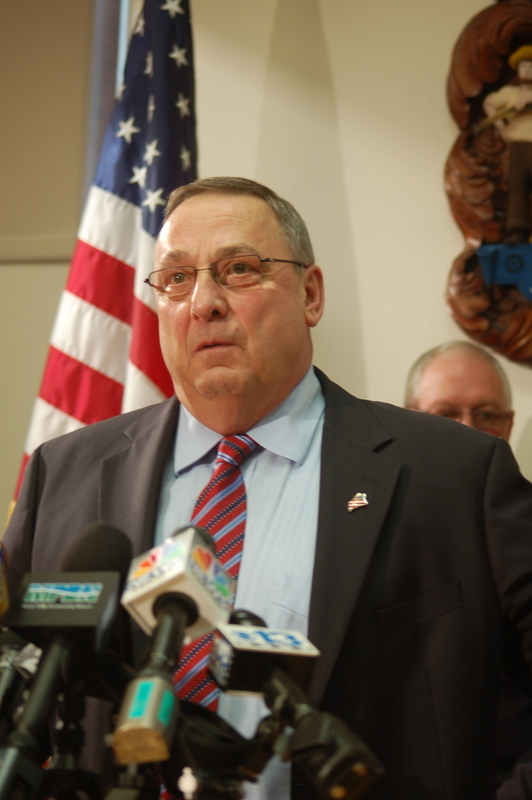 In an email to State Treasurer Neria Douglass, Governor Paul LePage reneged and cancelled his authorization of nearly $100 million in bond monies for projects across Maine. Douglass shared the message with the state’s budget writing committee on Thursday afternoon during a previously scheduled briefing on the state’s debt service or interest for the bonds. According to Douglass, per the directive from Governor LePage, she has already issued $59 million in funding from the state’s cash pool to help fund key projects in the administration’s work plan. These projects were approved and signed off on by Governor LePage and his department officials on July 31, 2013. Androscoggin County Democrats hosted a candidate forum at the L/A USM campus for the open Second Congressional District seat, vacated by Rep. Mike Michaud who is now running for Governor. Conducted by former Rep. Elaine Makas, the two primary challengers Troy Jackson and Emily Cain were asked questions on a number of topics. While the pair were on similar pages on many of the topics, their styles in approaching their answers appeared to contrast this race most for the large audience in attendance. Issued an endorsement of Mike (Nov 6). And then had the sheer audacity, as a currently serving member of the 126th Maine Legislature, to have the samepublished as an op-ed in the Bangor Daily News! “As the only independent in the Maine House of Representatives who does not caucus with either party, I am pleased to announce that I am supporting U.S. Rep. Mike Michaud for governor. I plan on campaigning for Michaud during the 2014 election season. Mike Michaud will make a terrific governor of our state. He has the two characteristics that are sorely lacking in the current administration in Augusta: humility and common sense. He’s a good listener, thoughtful and respectful. It will be such a breath of fresh air when Michaud is elected as our next governor. Why am I throwing my support to Michaud rather than fellow independent Eliot Cutler? 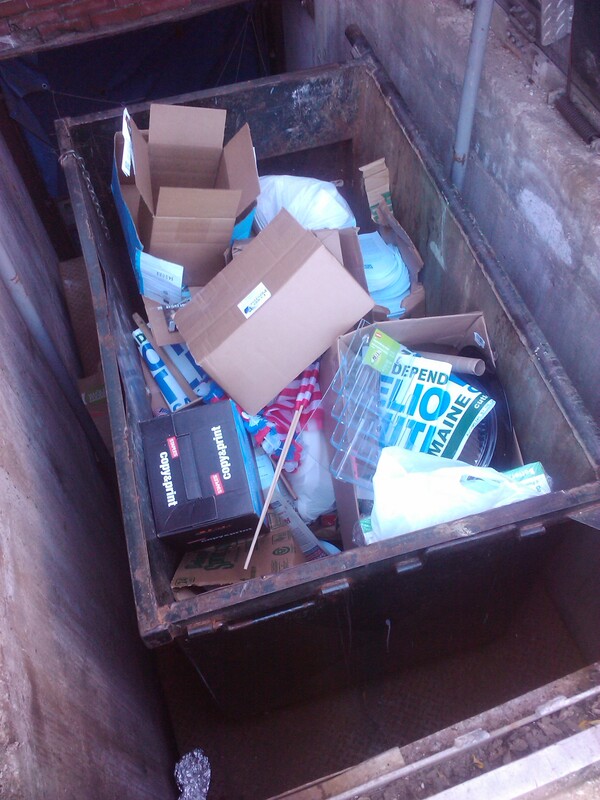 Cutler’s successes have come on the wrong side of the economy at the expense of common people. His relationship as a director of a bankrupt mortgage company, Thornburg Mortgage, whose former top executives are facing allegations of fraud, and his employment and association with the Dallas-based international consultancy Akin Gump, where outsourcing jobs to China is part of the mission, disqualifies Cutler as a person who can lead Maine out of this serious recession Maine people are experiencing. Well! As one can imagine, that last must have caused Cutler to practically fly to his desk, shove everything to the ground and fire off his own crushing rebuttal (“Eliot Cutler: Focus on real issues, not recycled 2010 garbage”), also published in the BDN. 12:45pm UPDATE: House just voted 89-52 to accept the Judicial Committee “ONTP” (Ought Not to Pass) recommendation moments ago, 89-52. This was the final vote on LD 1428; it is now dead. Roll call vote shows 5 GOP members broke with their party to join Democrats: Reps. Beaulieu of Auburn, Campbell of Orrington, Libby of Waterboro, MacDonald of Old Orchard Beach and Maker of Calais. 2 House Democrats voted for the bill: Rep. Stan Short (D-Pittsfield) and Steve Stanley (D-Medway). “This fight will continue across the country. Many states still do not have a human rights law that covers sexual orientation. 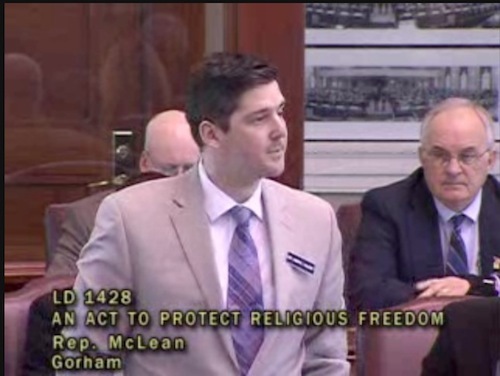 But in Maine our voters have settled this, ” said Rep. Matt Moonen of Portland, during the floor debate. 14. ICYMI/UPDATED: Is LePage’s “Outrage” A Politicized Continuation of Ongoing General Assistance/ Immigrant Battle? 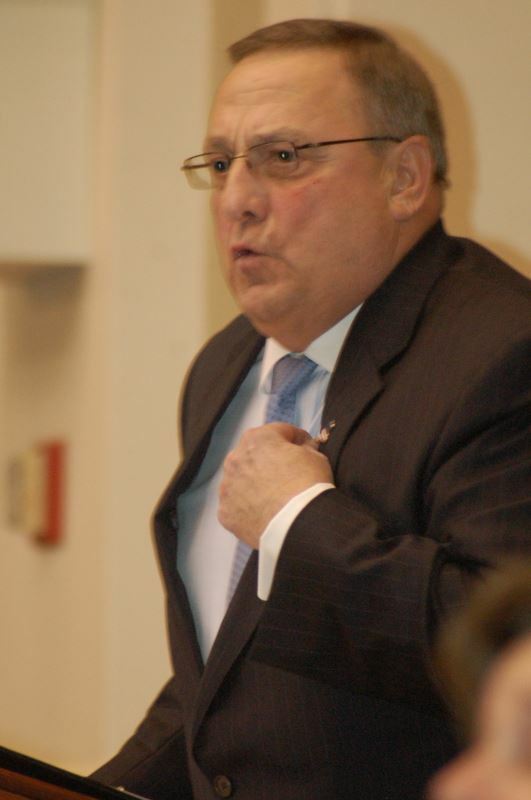 AUGUSTA – Governor Paul R. LePage will propose emergency legislation to fund his initiative to fight drug crime by adding Maine Drug Enforcement Agents, judges and prosecutors, which was a major initiative he outlined in his State of the State Address. 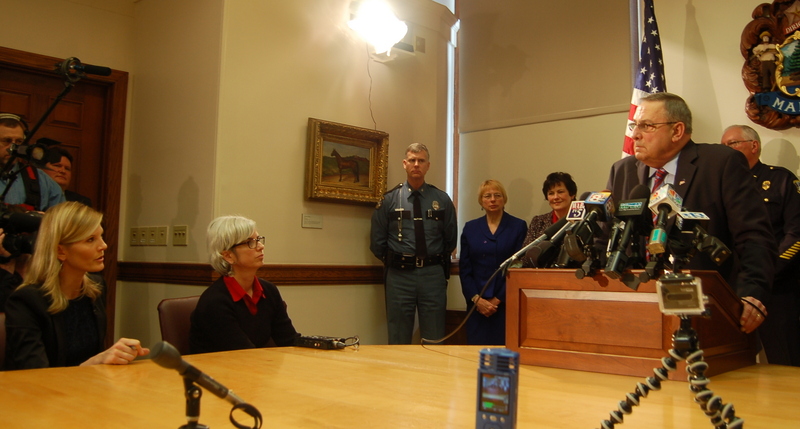 Governor LePage takes media questions on LD 1811 during March 2014 press conference. The Governor will propose using revenue in the Unclaimed Property Fund account to pay for LD 1811, “An Act to Appropriate and Allocate Funds to Strengthen the State’s Efforts to Investigate, Prosecute and Punish Persons Committing Drug Crimes.” LD 1811 would add 10 new MDEA agents, two new District Court judges, deputy marshals and assistant clerks, and two prosecutors in the Attorney General’s office. In addition, the bill would provide $750,000 to augment existing drug addiction treatment programs. The total cost of the proposal is about $2.5 million. The proposal initially had broad bipartisan support in the Legislature, and it won endorsement from the judicial branch and law enforcement agencies across the state. (UPDATED x2) On April 4, NBC Nightly News ran an in-depth story by national correspondent Kate Snow on the FDA approving opiate antidote Evzio. It featured paramedics in Portland, discussing using life-saving heroin antidote Nalaxone, also known as Narcan to save lives. A portion of that story focused on Maine Governor Paul LePage’s opposition to non-medical personnel having access to Narcan, with a clip from the press conference seen below. NBC reporter Kate Snow asks Governor LePage about his opposition to Nalaxone. Not everyone is so enthusiastic about the medication. At a press conference on Maine’s drug problem, the governor was adamant that only medical professionals should have access to Narcan. 9am UPDATE: Via Sun Journal’s Scott Thistle is a clip of former Cumberland County Sheriff Rep. Mark Dion, speaking in more depth to the issues raised by the governor during the press conference and elaborating on his own remarks found below. 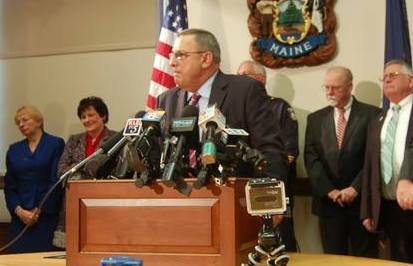 Governor Paul LePage yesterday held a press conference in his Cabinet Room to announce that he has submitted legislation to provide funding for 22 new state employee positions to fight Maine’s drug addiction and trafficking problems: 4 new hires within the Judicial Branch, 14 for the Department of Public Safety and four additional Assistant AGs. The move is part of his State of the State address promise to toughen up on Maine’s drug laws and enforcement. With Attorney General Janet Mills, Cumberland County DA Stephanie Anderson, MDEA head Roy McKinney and law enforcement officers from around Maine in attendance, the governor spoke to and again listed statistics regarding the large number of Maine babies that are born addicted, criticized the state’s methadone clinics and called marijuana a “gateway drug”, a claim supported and expanded upon by DA Anderson when it was her turn at the podium. LD 1811, “An Act To Appropriate and Allocate Funds To Strengthen the State’s Efforts To Investigate, Prosecute and Punish Persons Committing Drug Crimes” is sponsored by Sen. Gary Plummer (R-Cumberland) and while it beefs up enforcement and the drug courts, there are no provisions or mention within the bill as will be presented to the Criminal Justice and Public Safety committee in regards to medical treatment for addicts, education or counselling.